Day hike is one of the known practice today in mountaineering. 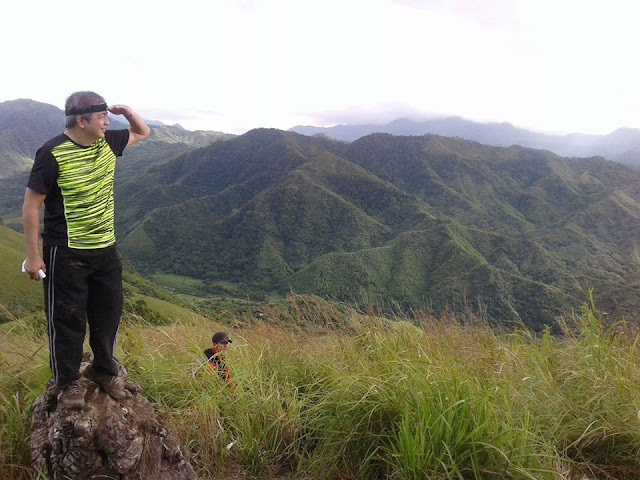 Mountaineering is highly promoted today in metropolis like in Manila, Cebu and Davao due to growing number of curious individuals coming from BPO companies. The few known advantages of day hike is its itinerary friendly approach because the participants need only few hours to finish friendly elevation of a mountain. The second known advantage of day hike is that the participants is not expected to have to carry long inventory of equipment. 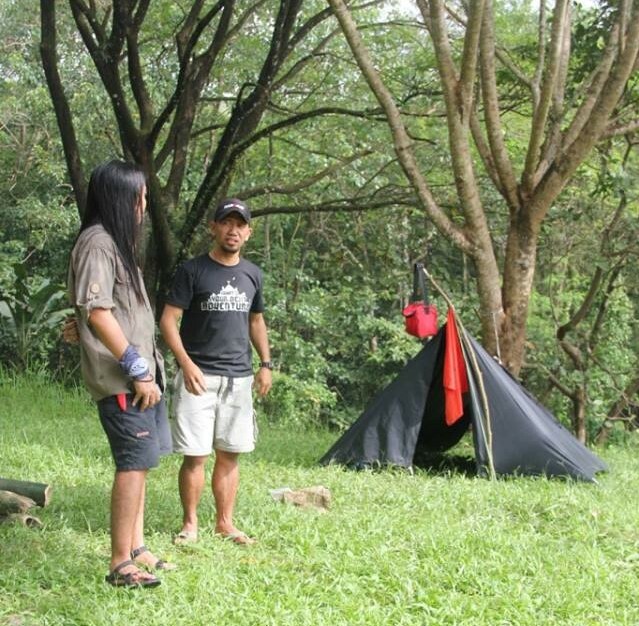 In a day hike setting the participants needs only few equipment and more stamina. Will it last for more seven hours? What is the elevation of the mountain and what will be the possible altitude gain? What is the day's weather forecast? Is there any river crossing? Will there be source of potable water? Who will be my companions? Is the place known for having network signal? From this set of questions we can now start assessing the list of the equipment. 1. Tarptent with guy lines. This piece of tarpaulin, a plastic or nylon sheet will be the reliable lightweight shelters for sunny day rest stop or even in emergency situations. 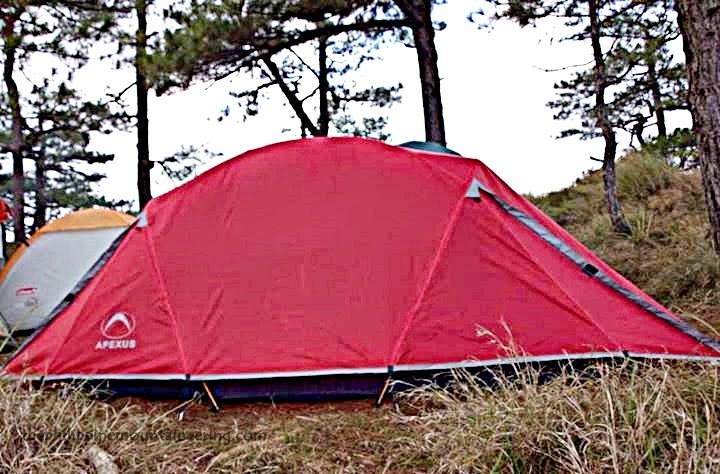 Beside its lighter weight, one of the main advantages of tarp tent is that it can be set up very quickly. 2. Rain poncho. Due to unpredictability of the weather pattern today, it is a good habit to bring lightweight but watertight material inside the day pack. 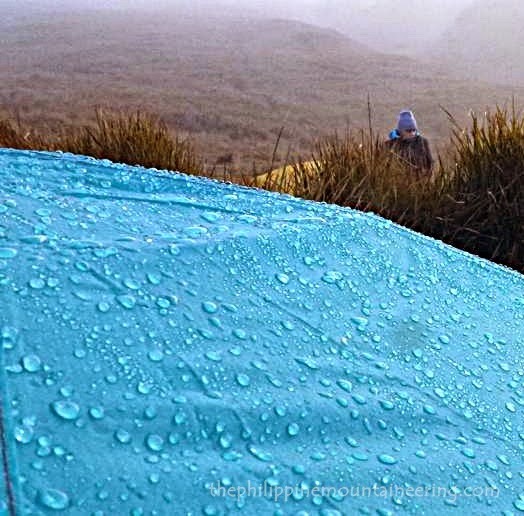 Even the cheap plastic-made rain poncho will keep the body dry from the rain and most especially preventing one self from hypothermia. Good size of rain poncho is that fits over a daypack. Carrying a military-sized poncho is another means of bringing improvised emergency shelter. 3. Powder fruit juice. This concentrated inside the sachet will give additional sugar to the body. In some incident, powdered juice can also be used to enhance the taste of the water. 4. Pocket knife. This is the most neglected stuff by some "mountaineers." Bringing pocket knife for a lawful activity like mountaineering is allowed by the law of the land. Knife is the only reliable cutting tool for everyone and also good size of this piece of metal will give us flexible tool that can be used for nearly anything. A knife can give anyone extra confidence and at the same time gives comfort in doing some task. This could also enhances ones ability to survive in any emergency situation. Good knife could enhance the survival skills like cordage making, snares making, and shaping sticks to create new tools. 5. Paracord. Real paracord can carry load up to 550 pounds because of its seven strong nylon cord that each cord is made of several smaller woven stands, which all wrapped in a flexible outer braided nylon wrapper. 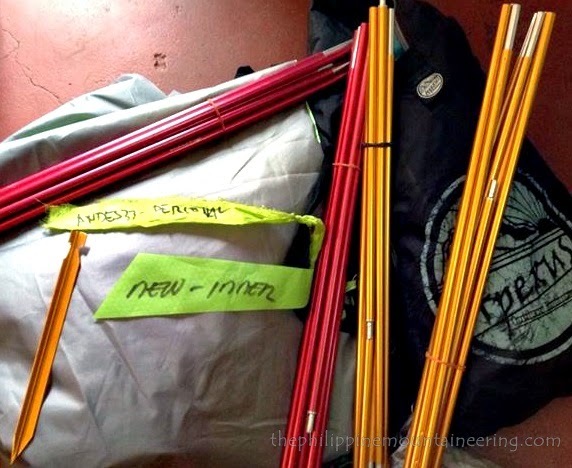 Carrying ten feet or more of paracord could be used for guide rope, replacement for a broken shoestring and reliable tool for lashing in building temporary shelter to sleep over in case of emergency. As an advise, if you will buy paracord bracelet, make it as of emergency tool and not just an accessory or "pangporma." Thus, the paracord should be quick deploy/ release and the buckle is made of a whistle. 6. 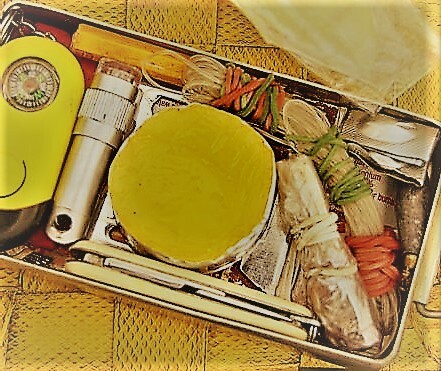 Packed Lunch. The nutrients of this food prepared at home should not be compromised to trail food or energy bars. Keeping this food safe in a plastic container will give us sufficient nutrients to finish the trek. Also, having this inside the backpack will give us the assurance of surviving a day without foraging. 7. Alcohol. 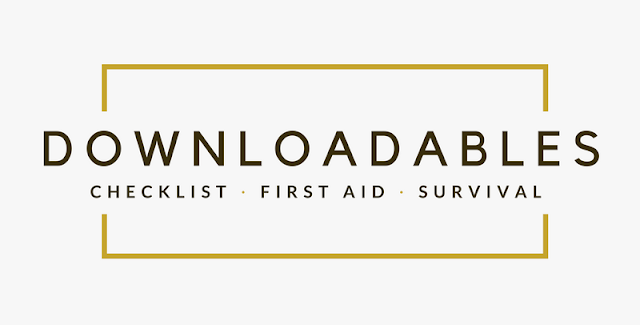 This is one of the items inside the first aid kit but bring at least 100ml. 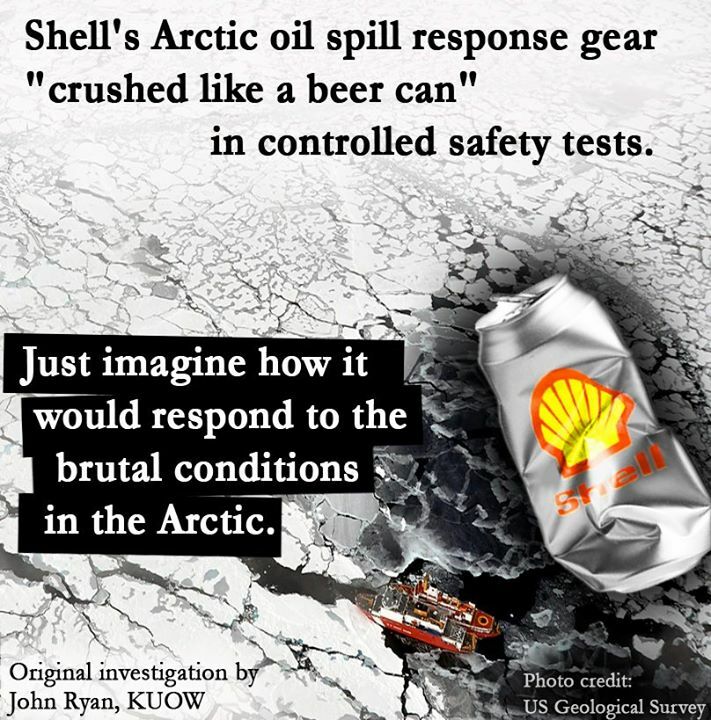 More of this volatile liquid could be a fuel for aluminum can alcohol stove which eliminates need for denatured alcohol. Some brands of isopropyl and ethyl alcohol in 70 percent concentration burns but not that like with denatured alcohol, this is because of the water content. 8. Piece of Paper and Pencil. In the absence of the battery life of our camera and cellphone this two items will be the best partner for documentation. As conclusion, it is better for us mountaineers to be reminded with Al Alvarez quote, which states that, "The pleasure of risk is in the control needed to ride it with assurance so that what appears dangerous to the outsider is, to the participant, simply a matter of intelligence, skill, intuition, coordination... in a word, experience. Climbing in particular, is a paradoxically intellectual pastime, but with this difference: you have to think with your body. Every move has to be worked out in terms of playing chess with your body. If I make a mistake the consequences are immediate, obvious, embarrassing, and possibly painful. For a brief period I am directly responsible for my actions. In that beautiful, silent, world of mountains, it seems to me worth a little risk." The Philippine mountaineering community is now being haunt by the news of national insurgency in the country. Currently, many schedules were cancelled due to fear brought by numerous reports of NPA sightings. This post is intended to express the position of the Philippine mountaineering community regarding the termination of the peace talks between the Government of the Republic of the Philippines and the National Democratic Front- Communist Party of the Philippines. The five-decade insurgency in the country is evidence that there is big socio-economic problem to cure. Having President Duterte in the Malacanang Palace brought hope to the nation that the stain of bloody revolution will be lessen because of his identification to the left. 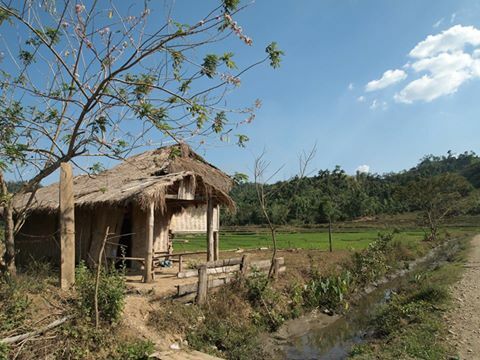 The few months of peace in the country was experienced even to the country side. There were a lot of explorations done in some known Communist's territory like in Sierra Madre. 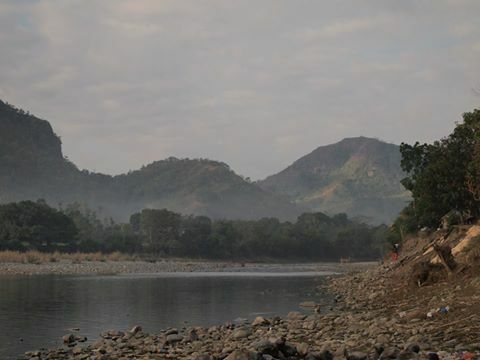 The mountainous areas of Rizal were explored and the mountaineering community enjoyed the peace in the land but today the community is under fear. 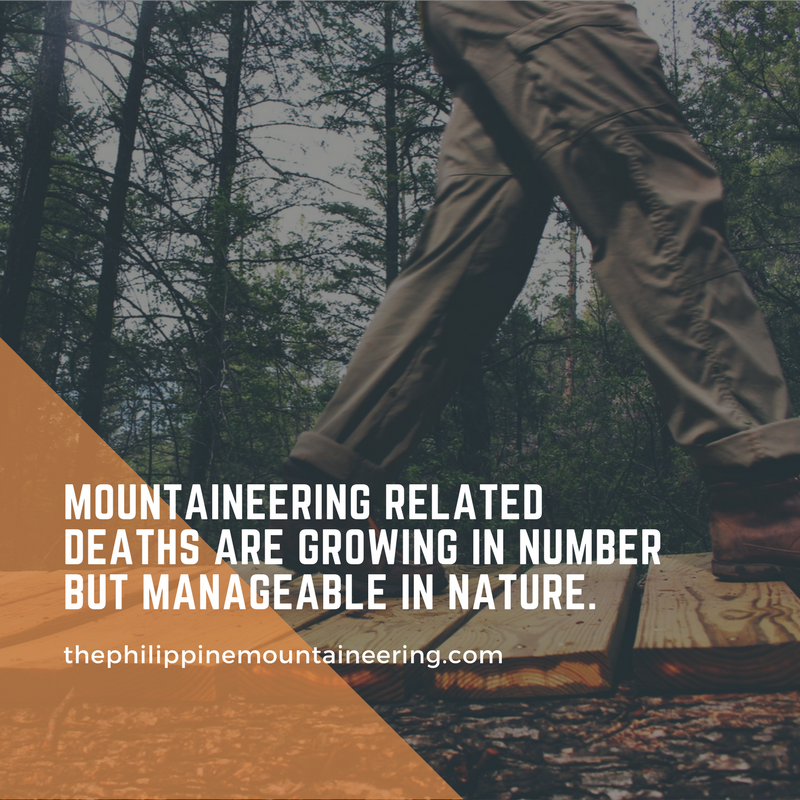 Most of the mountaineering facebook pages and groups today are flooded with posts of inquiry regarding the status of mountains. Fellow mountaineers asking one another about possible closure of various mountains and the sad is the inquiry heightens the fear of some. The mountaineering community is now directly affected of the current all-out war of the government against the New People’s Army. The fear of possible inclusion in cross fire between the two parties is the most worrisome and being falsely identified is an issue also. Thus, we are calling for the immediate resumption of the peace talk between the government and the Communist Party so that the mountain destinations will be enjoying again by the mountaineers and tourist. 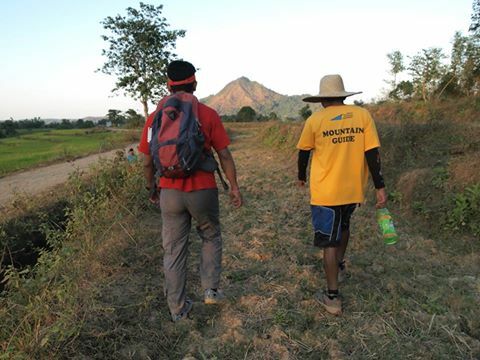 The mountaineering community of the Philippines deserves peaceful opportunity to enjoy the beauty of our country. We as community are looking for LASTING JUST PEACE. The news regarding flash flood in San Jose, Tarlac is both correct and wrong. As a rule of thumb for us, better to get information from the Baag outreach team. It will be best for us to wait for the official declaration from the survivors as well as from the search and rescue teams. I am not discrediting the fact that this is another unwanted part of the mountaineering history. The lost of men and women in the caress of nature is something to reflect for us. As of now, let us continually pray for the comfort for the family members and friends of the casualties. Also pray for the immediate result of search and rescue for the missing member. This is the moment for us not to initiate blame game but to educate our line to experience safe and enjoyable mountaineering. Kudos to all the individuals and groups who untiringly participated to the search and rescue, truly by your action we can say that mountaineering community is more than friendship- it's a growing family. Hayaan nyo nawa akong ilahad ko ang aking mga puntos hinggil sa lumabas na bagong resolusyon patungkol sa Mt. Apo. Ang aking tinutukoy ay ang Resolution No. 2015-11 ng Mt. 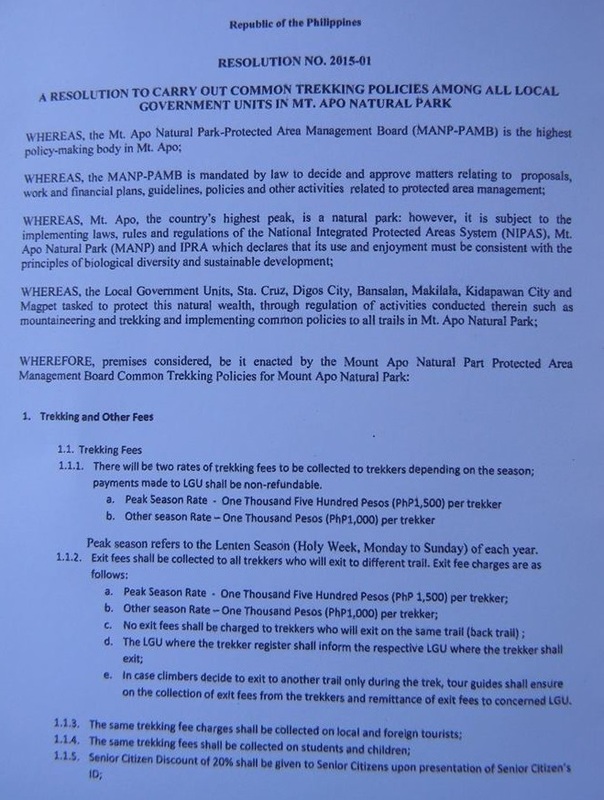 Apo Natural Park-Protected Area Management Board na kinilala ng mga lokal na pamahalaan ng Sta. Cruz, Bansalan at Digos City ng Davao del Sur maging ng Makilala, Magpet at Kidapawan City ng North Cotabato. Sa nasabing resoluyon kanilang pinagtibay ang pagkilala sa Mt. 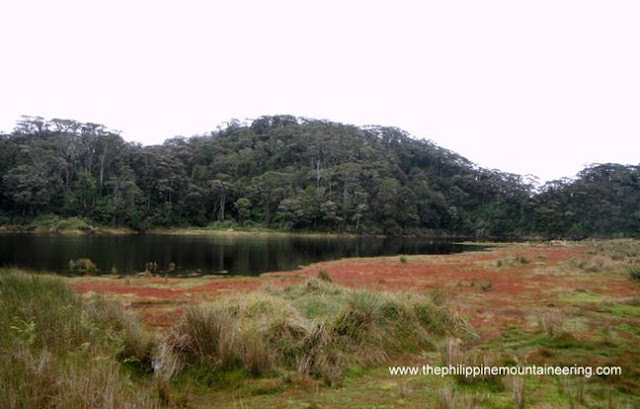 Apo bilang isang "common trekking site." Sa ilang ulit na pagbabasa sa nasabing resolusyon maaring ang unang papasok na tanong sa isipan ay, "bakit ang mahal naman?" Subalit nawa mas bigyan natin ng lalim ang isyu na ito hindi lamang sa usapin ng salapi sapagkat ito ay may malawak na epekto sa ating komunidad. 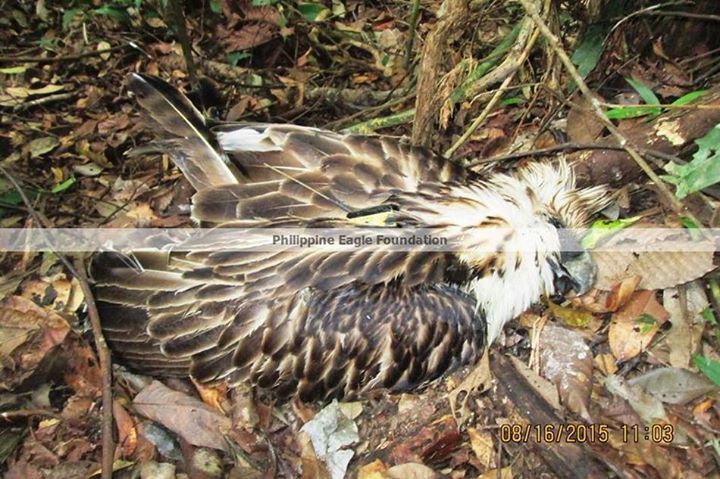 Ang anumang resolusyon na ilalabas ng MANP-PAMB ay sasalamin sa maaaring sapitin sa hinaharap ng ating mga bundok o kabundukang inaakyat. Bilang pinakamataas na bundok sa bansa, ang Mt. Apo ay may kakayanang diktahan ang kinabukasan ng ating mountaineering activities. Sa ilang ulit kong pagbabasa ng nasabing resolusyon akoý nakakita ng ilang kwestyonableng puntos ng Resolution No. 2015-11 ng MANP-PAMB na ula dito ay masasabi kong hindi nila inaral ang kalagayan ng bundok. 1. Ang Mt. Apo ay Isang Natural Park. Tila nakalimutan nila na ang Mt. Apo ay Liwasang Bayan. Ang ibig sabihin ng liwasang bayan ay pook mga pook na may likas at historikong kahalagahan sa bansa na pinoprotektahan at inaalagaan ng DENR gamit ang NIPAS bilang pangunahing batayan. Ang Mt. Apo bilang isang likas ng liwasang bayan, ay kinakailangang protektahan sa anumang pagkasira mula sa pagkuha at paggamit ng mga likas ng yaman nito. At bilang isang liwasang bayan ay Mt. Apo ay dapat na maging bukas sa anumang makatarungan at legal na gawain tulad ng scientific, educational at recreational sapagkat sa ganitong gawi mababantayan ang kalagayan nito maging ng mga iniingatang mga halaman, hayop at likas na yaman. Subalit sa pamamagitan ng Resolution No. 2015-11 inilayo nito ang dapat na mangyari sa kasalukuyan. Kung susuriin ang nagyayari sa kasalukuyan ang Aboitiz na kumontrol sa tubig ng Tudaya Falls ng Sibulan, Sta. Cruz na ginawang hydro power plant at ang Energy Development Corporation ng mga Lopez na nagmamay-ari ng Mount Apo Geothermal Power Plant sa Kidapawan ay mga nagpapakasasa sa likas ng yaman ng nasabing bundok. Maaaring gagamitin na naman nila ang palusot na ang mga nasabing mga kumpanya ay malayo bundok o itoý nasa paanan lamang, ang punto ko rito ay ganun pa rin kanilang ginaganap ang likas ng kondisyon ng bundok. 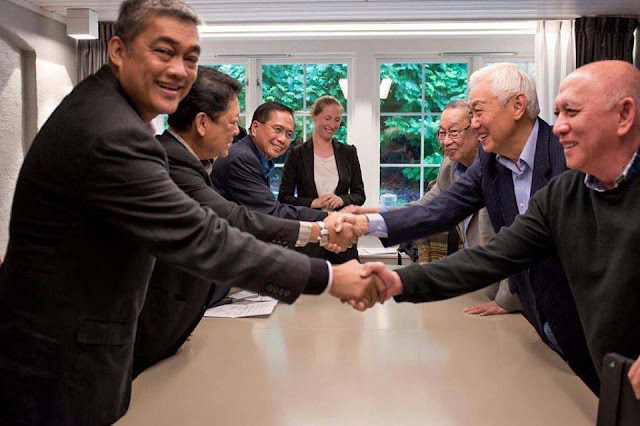 Parehas ang EDC at Aboitiz na naging ganid sa dapat na tinatamasa natin, dati nadadaanan pa ang Tudaya falls sa Sibulan subalit dahil itoý hydro power plant area na bawal nang dumaan ang mga mountaineers lalo na sa EDC na babarilin kung mga guwardiya kung hindi si Lopez ang kasama. 2. Ang Mt. 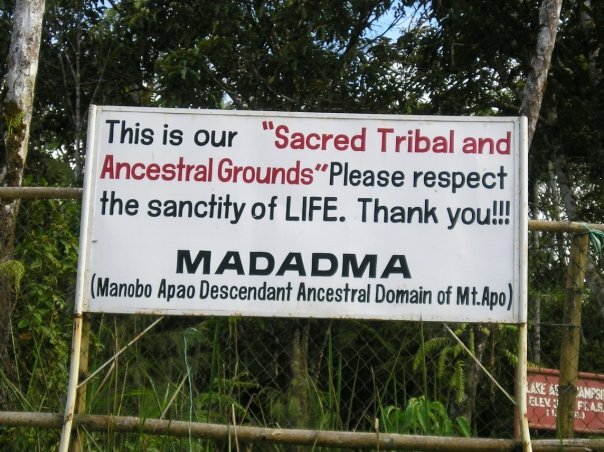 Apo ay Cultural at Historical Site. Mayaman ang Mt. Apo kaya ang tingin ng mga pulitiko dito ay isang malalim na balon na bumubulwak ng salapi at kanilang nakalimutang tingnan na ito ay lugar ng mayamang kultura at kasayasayan. Ang Mt. Apo ay lupain ng mga kapatid nating Lumad na nagmula sa mga tribung Bagobo, Manobo at Klata. Ang kabundukan ay ang kanilang naging tahanan, libingan at tanging pinagkukunan ng kanilang ikabubuhay. Para sa mga kapatid nating mga Lumad sa Bundok ding ito naninirahan ang kanilang sinasambang si Apo Sandawa. Ang mga komunidad sa Mt. Apo ay nagpapakita ng mayamang kasyasayan na hindi sila nasakop ng mga kastila at hindi sila kinain ng lason ng modernisasyon. Subalit para sa mga pulitiko ang Mt. Apo ay isang ekonomikal na lugar, lugar na pwedeng pagkakitaan. Kung babalikan ang kanilang ginawang bagong resolusyon naglaan lamang sila ng 25% para sa Integrated Protected Areas Fund (IPAF) at 15% naman para sa komunidad ng mga katutubo at ang 60% ay tutungo na sa bulsa ng mga pulitiko. Subalit kung titingnan ang REPUBLIC ACT NO. 10629 mayroon nang nakalaan na 75% na trust fund para sa Mt. Apo bilang isa sa kinikilala ng NIPAS. Malinaw lamang ito na nais lamang ng PAMB at mga lokal na pamahalaan na makihati sa kinikita ng mga kapatid nating lumad na nagsisilbing mga guides at porters. Dati ang pag-akyat sa Mt. Apo ay hindi usapin ng salapi bagkus pagtahak ispirwal at pakiki-pagkapwa tao kasabay ng abot-kayang registration mula sa mga lokal na pamahalaan. Subalit ngayon, kakailanganin aga ng tatlong libo para makapasok at makalabas sa nasabing bundok. Maaaring gagamitin na naman nila ang palusot na ang salaping kikitain ay gagamitin sa pagkakaroon ng mga kagamitang pangrescue. Hindi po ba, may budget ng dati ang bawat bayan para sa Rescue at disaster management? 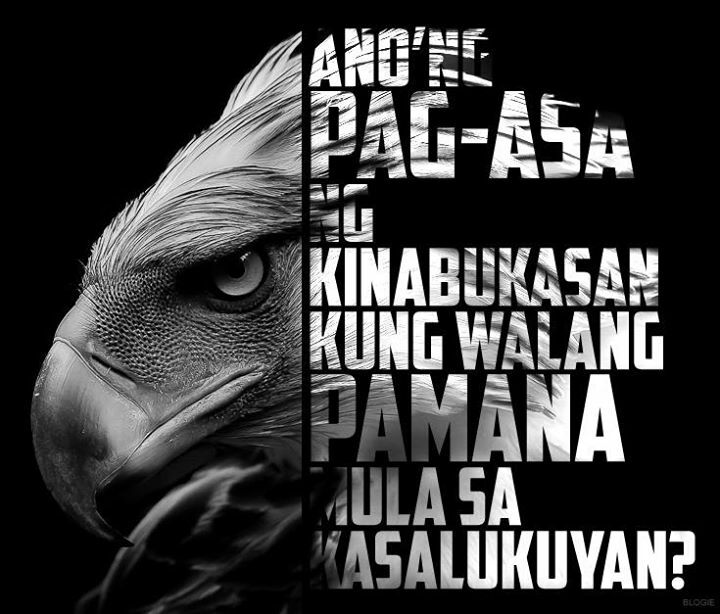 Liliwanagin ko lamang na hindi ako tutol sa pagbili ng mga gamit sa pangrescue sapagkat kailangan natin yan subalit kung magmumula sa mountaineers ang radyo at iba pang gamit kawawa naman kami sapagkat di kami tumatae ng salapi. Kay sarap balikan na dati na katutubo ang kasama sa Lake Venado walang naliligaw at walang napipinsala sa Kidapawan river. Mas maasahan pa rin ang mga kapatid na lumad sapagkat hindi lamang nila bakuran ang Mt. Apo ito ay kanilang pinapahalahang tahanan. 3. Ang Mt. Apo ay Dapat Alagaan at Hindi Pagkakitaan. Itigil na nawa ng PAMB ang pagsasabi na nasisira ang Mt. Apo dahil sa mountaineers sapagkat hindi ito totoo. Mas maniniwala pa ako na may ilang nagpapakilalang mountaineers ang nagdala at nagdadala ng kalat sa nasabing bundok. Ang sumisira sa Mt. Apo ay ang mga pangako ng mga pulitikong pagbabago at pag-asenso na hanggang sa ngayon ay nakasulat sa hangin. Ang mga kapatid nating lumad ay mas minabuti na lamang na nagtanim ng mga gulay at bulaklak o dili kayaý magkaingin dahil may pamilya silang kailangang pakainin. Kaya bilang hamon sa mga pulitikong ng mga bayan at lalawigan na nakakasakop sa Mt. Apo, gawin nyo ang inyong mga pangako noong nagdaang eleksyon at wag ninyo kaming gawin gatasan. Bilang pangwakas, nais kong hamunin ang Philippine Mountaineering community na maging isa sa isyu ng pagtutol sa Resolution No. 2015-11 ng Mt. 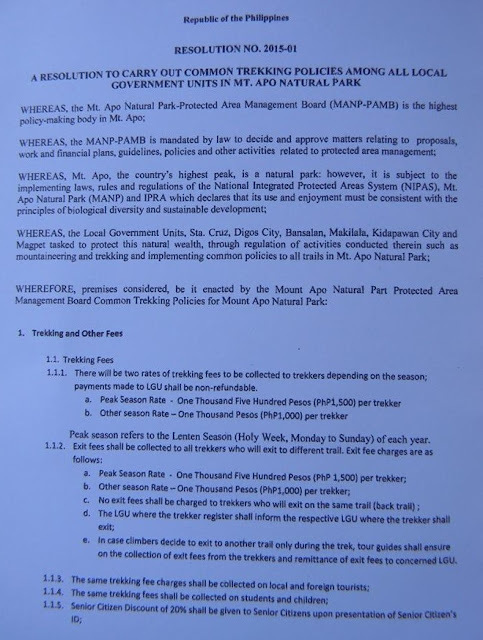 Apo Natural Park-Protected Area Management Board sapagkat matapos sa Apo lahat ng bundok ay maaring sumunod. Sa ngayon ay ating inisyal na magagawa ay wag muna tayong umakyat sa Mt. Apo bilang pagtutol sa mataas na singil, ipamukha natin sa kanila na ating pinaghihirapang kumita. Ikalawa, patuloy nating mahalin ang ating mga kapatid na katutubo di lamang ang mga lumad magagawa natin ito sa pamamagitan ng pagkakaroon ng aktibong pakikinig sa kanilang kalagayan ay bukas pusong pagtulong sa abot ng ating makakaya. At ang ikatlo, ikalat natin ang ating pagtutol sa Resolution No. 2015-11 ng Mt. 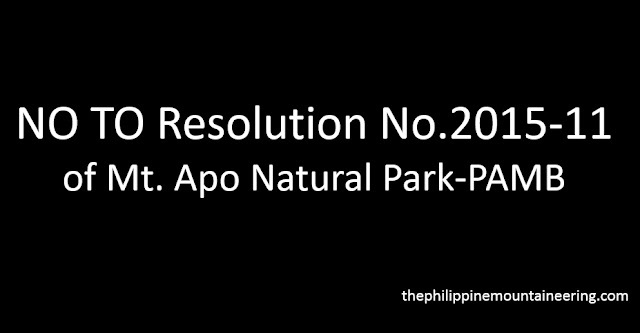 Apo Natural Park-PAMB. ng Mt. 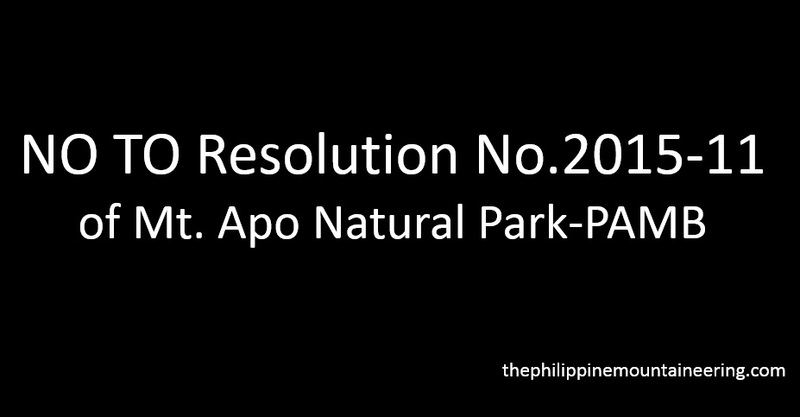 Apo Natural Park- Protected Area Management Board.